SandBar photography specializes in Portraiture Art recognized nationally and Internationally by award-winning Master Photographer Barb Spratlin. SandBar is located in Fort Myers, Florida. Currently, in its 12th year of business, continuing to please clients by providing quality service for Family, Equine and pet photography, Be sure to read some of the customer testimonials. Master Photographers Degree through the Professional Photographers of America. 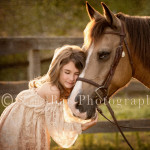 Barb is passionate about creating Photographic Portraiture Art. She enjoys learning new techniques and strives for excellence in all her work. She has been the recipient of multiple prestigious photographic awards. While continuing her Art with the camera, she is currently in training to become a certified Equus Coach incorporating her love of life, photography, people, and horses. After the loss of co-founder and business partner Sandy Rose in July 2017, SandBar Photography continues in the memory of a beautiful soul and dear friend with deeper meaning and purpose. Sandy Rose- Co-Founder & Portrait Artist. • 2010 – 2012 Named Portrait Photographer of the Year by the Professional Photographers of S.W. Fla.
*2013 Album Designer of the Year by the Professional Photographers of S.W. Fla.
*2014 – Named Portrait Photographer of the Year by the Professional Photographers of S.W. 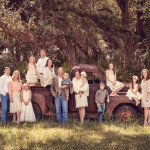 Fla.
On Location, We serve the South West Florida area. We travel to your location of choice, home or your barn. Contact SandBar Photography and schedule your portrait session today to create your personalized Portraiture Art.